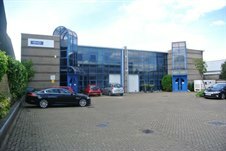 Cattaneo Commercial have just concluded the letting of Units B & C Oakcroft Business Centre, Chessington, Surrey KT9 1RH. The units were adjoining and were acquired by a single well known Plc for occupation by a recently acquired subsidiary. Both buildings had recently been refurbished and combined comprised a GIA of 9,625 sq ft.